Arrive at Cape Town Int. Airport and transfer to the city. Rest of the day at leisure. Drive through the West Coast National Park Drive to Langebaan. Early evening drive to view the Flamingo’s and sunset. Day at leisure to enjoy the beauty of Langebaan and the lagoon. Drive via Saldanha Bay (largest, deepest & safest natural harbour in the country) to Vredenburg and to the fishing village Paternoster that means “Our Father” and named from the heartfelt prayers of shipwrecked Portuguese sailors. Paternoster is a place to wind down and to relax and a chance to visit the Cape Columbine Lighthouse and the Cape Colombine Nature Reserve (Tietiesbaai) or the West Coast Fossil Park which has the highest concentration and greatest diversity of 5 million year old fossils in the world. After breakfast drive along the Atlantic coastline via Elands Bay and Lambert’s Bay where we visit Bird Island, home to an enormous concourse of Cape Gannets, Cormorants, penguins & other bird species. We then turn inland towards Clanwilliam and on to the Northern part of the Cederberg. 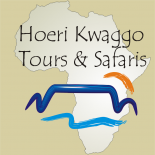 During the morning we have the option to go on a short hike to view some San rock art paintings or to be at own leisure. We then to Clanwilliam and the N7 towards Citrusdal from where we take the R303 into the middle & southern Cedarberg. After breakfast we continue towards Ceres and time permitting we make a detour to Tulbagh which is a picturesque town between the mountains and one of the oldest towns in the country. Here we could have an optional lunch and then continue to a private Game Park. Overnight Private Game Park, Ceres area. After a game drive and relaxing breakfast we drive back to Cape Town via the Bain’s Kloof Pass, Wellington & Paarl or alternatively via De Doorns, Worcester, the Du Toit’s Kloof Pass and Paarl.